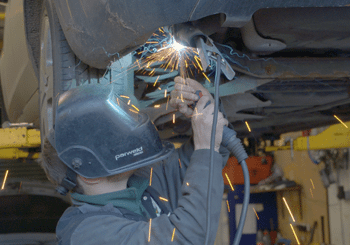 PR Motors Reading can do all mechanical repairs on all cars and light commercial vehicles. We provide an effective and professional MOT service, and have been a fully accredited MOT test centre in Reading since 2004. We offer car tyre fitting and a puncture repair service in Reading and the surrounding areas. We service and repair almost all makes of cars and commercial vehicles, using the latest diagnostic equipment and offer a MOT service while you wait. Our FREE pickup and return service operates locally, and includes Theale, Pangbourne, Upper Basildon, Bradfield, Burghfield and Tilehurst. Car collected from work. Full service carried out to a very high standard. Car returned in good time to drive home. Very courteous staff as ever. Highly recommended. PR Motors was recommended to me when I lived in Pangbourne, and I have always found them to be incredibly helpful. The advice given is excellent, and the quality of service unmatched. I now live in Oxford, but still come to PR Motors; it is worth making the journey. Car picked up from my driveway this morning, full service & MOT carried out and returned before the school run home. Fantastic service, lovely people and reasonably priced. Well done PR. My car wouldn’t start. After being messed around by another garage these guys came to the rescue and worked quickly to have it fixed in 24 hours. Great service. I would recommend PR Motors to anyone. My car won’t be going anywhere else. Thanks guys. Good fast and friendly service, they took my car to their workshop, got it running and MOT’d it and delivered it back to me within a couple of days at a very fair price, what more could you ask. Recommend them to anyone! Great friendly people. Yet again sorted my car right out. Thanks PR.